As ever - the streetnames give a watery clue! 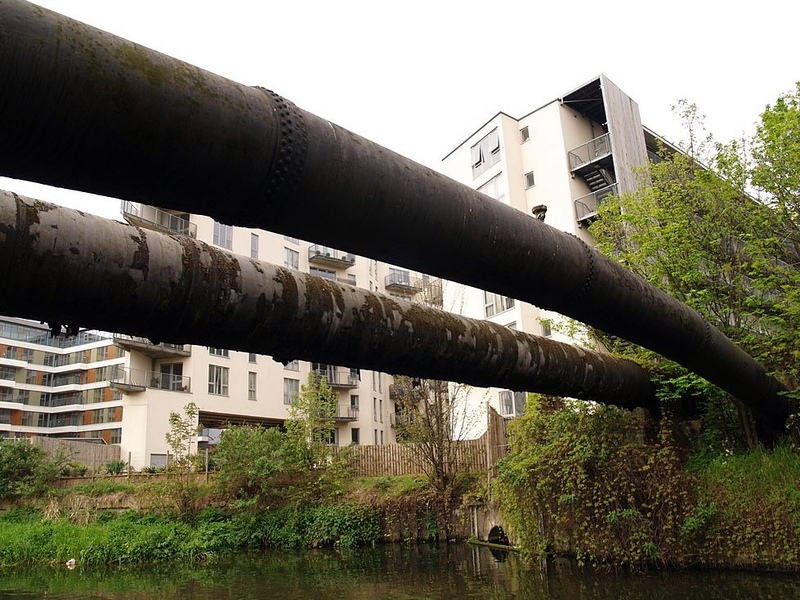 Hackney Brook's outfall into the River Lea near Old Ford Lock can be seen by way of a small arch while the main sewer network crosses overhead. The Hackney Brook rose at two points near the Holloway Road in Islington which then joined up just before flowing past the Highbury football stadium through Clissold Park and Stoke Newington’s Abney Park Cemetery skirting Hackney Downs, crossing Mare Street in Hackney through Homerton and flowed down to Hackney Wick before meeting the River Lea near Old Ford Lock. 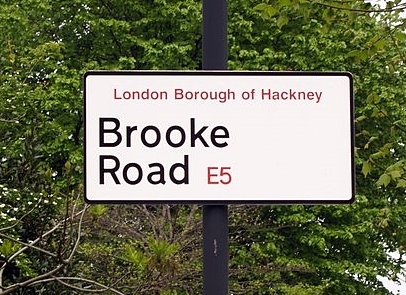 The name Hackney is of Danish origin - Haca's Eoth which means Haca's well-watered marsh - “Hack” is derived from Haca, a Danish nobleman who once owned the land in or around 450 AD. 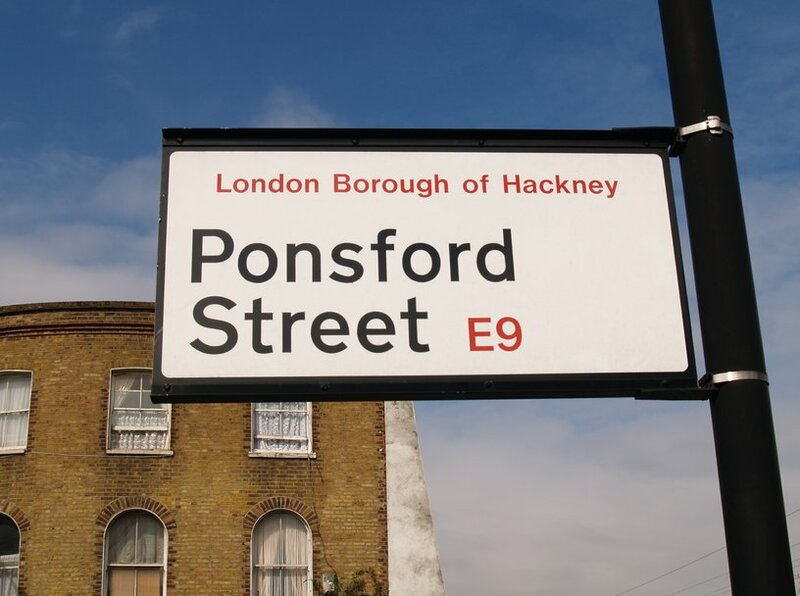 Mare Street takes its name from a pond or mere near where Hackney Central Railway Station now is – forming part of Hackney Brook. Around the 17th century there used to be a ducking stool here whereby petty criminals were strapped to a chair which was fastened to a long wooden beam fixed as a seesaw on the edge of the river and dunked into the river as a method of law enforcement through social humiliation. Up until the late 1830s, the brook was a substantial river, 10 metres wide in full flood at Stoke Newington and up to 30 metres wide at its junction with the Lea. However, by the 1850’s much of the Brook had been covered over and the open portions were an open sewer. The Metropolitan Board of Works constructed its northern high-level sewer in 1860 to a design by Sir Joseph Bazalgette to contain the brook. Outside the gates of Stoke Newington Cemetery there was once a ford and crossing called Stamford Bridge basically consisting of stepping stones across the Brook. Here, when the excavations for the high-level main sewer were in progress a Stone Age implements, estimated as 200,000 years old, were unearthed. Also found were war weapons such as swords dating from the 15th century Battle of Barnet during the War of the Roses. In Hackney, the river ran through the northern part of Clissold Park, two lakes mark the original course of the Hackney Brook. They are, however, these days fed by mains water from the fountain. 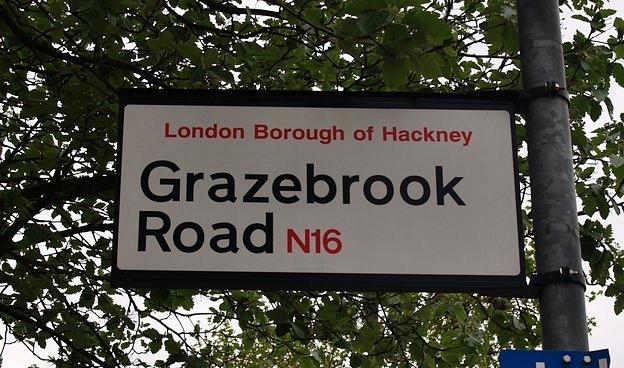 Aside from street names with such names as “brook” and “ford” there is little to remind local residents of Hackney Brook apart from, its been said, the occassionally flooded cellar after a heavy storm. Left pic- an engraving by MA Gliddon showing Hackney in 1830 with Hackney Brook in the foreground and Right pic - the scene of modern day Hackney.The building near the centre top of the engraving is the Hackney Proprietary Grammar school which opened that same year but demolished in the the 1950s.